How you found out about roller derby: I watched my sister, Suzie Bonebreaker, play her first bout and new I absolutely had to be a part of this sport. Date you started with the Jacksonville Roller Girls: Transferred in December 2013! Favorite derby moment during an after party: Well, that’d definitely have to be the giant inflatable water slide directly outside the after party bar in Knoxville. A-mazing! Favorite after party drink: Beer! Favorite bout you played in: I haven’t played a bout with NJCR yet, so I’ll go with the banked track bout I played with some fellow boot campers, trainers, and LA Derby Dolls against the San Diego Derby Dolls. I played with and against some of my derby heroes and it was amazing. It was my first bout on a banked track and I barely knew those rules, but I’ve never had so much fun during about. What are your favorite wheels: I like narrow wheels for the agility. My Heartless Chasers are my favs right now. 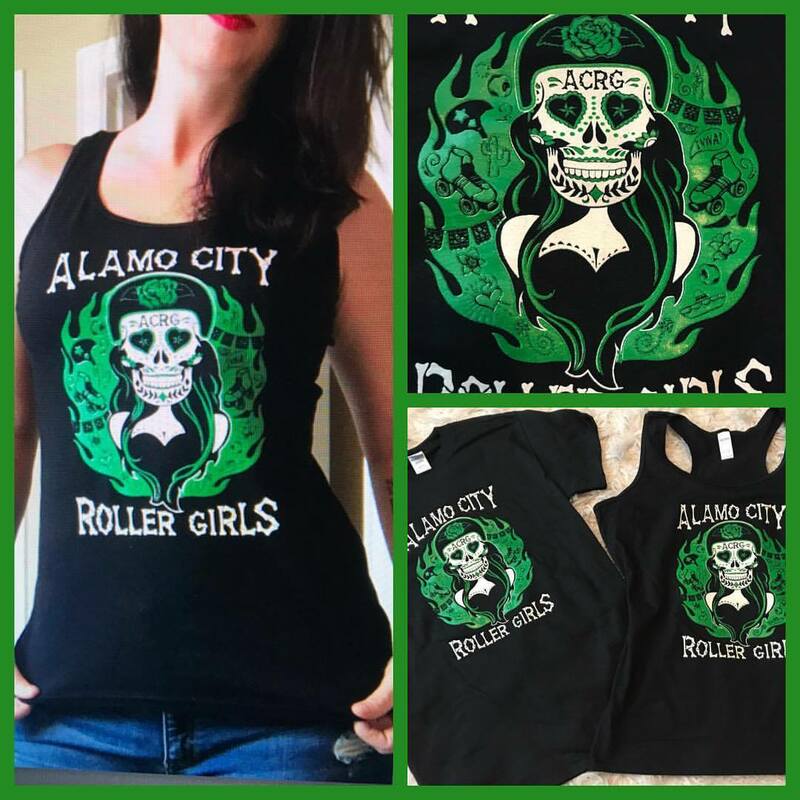 Do you have a derby wife: I’ve got a pretty badass derby wife – LeBrawn Maimes. What should your opponent know about you before a bout: I’m extremely competitive and I’ll put everything I’ve got out on the track in order to help my team get the win. What should your fans know about you: That I love them! There’s nothing like feeling supported when you’re out there on the track. It’s hard to not feel motivated by a crowd of cheering fans!